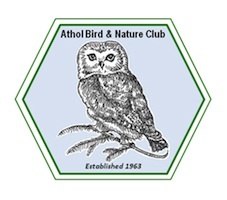 In spite of early weather forecasts to the contrary, cloudless skies and bright sunshine greeted the 16 members and friends of the Athol Bird and Nature Club who met for the annual Dragonfly field trip held Sunday in Petersham. Blair Nikula, Jeremiah Trimble and Rick Heil all of Eastern Massachusetts and experts in the identification of New England dragonflies led the group in search of these interesting insects. The first stop was the causeway at Harvard Forest’s Tom Swamp. Chalk-fronted Corporal, Frosted Whiteface, Blue Dasher, Ruby Meadowhawk, Slender Spreadwing, Eastern Forktail, Clamp-tipped Emerald, Canada Darner and Slaty Skimmer were captured, closely observed by the group, and released. A Pileated Woodpecker entertained as it called and flew over the bog. Several interesting butterflies were observed including a very worn Harvester, Appalachian Brown, Northern Broken Dash, and Pearl Crescent. After lunch on the Petersham Common the group stopped at the East Branch of the Swift River on Quaker Drive . The usual sounds of the roaring stream were absent as the summers lack of rain have reduced the flow to a trickle. Exploring the shaded stream gave the group some relief from the humidity and the shallow pools were easy to navigate as we sampled dragonflies found in this rocky habitat. The dark wings and iridescent blue and green bodies of the Ebony Jewelwing is a familiar sight to trout fisherman in summer. Several of these large damselflies were patrolling near the bridge abutment allowing close observation. Our leaders fanned out up and down stream looking for the more elusive dragonflies. We were rewarded with a Fawn Darner, Suberb Jewel wing, several Least Clubtails, and a magnificent Dragonhunter, which were all studied by the group and released. Quietly enjoying the shade of the stream and the sights and sounds of summer, many species were noted including the Pearl Crescent butterfly, Blue-Headed Vireo, Ruby-throated Hummingbird (nectoring on Cardinal Flower), Green Frog, Two-lined Salamander, and several species of fish. A great way to spend a hot summer day.